THE INDUSTRY’S BIGGEST PREMIUM CIGAR & PIPE TOBACCO EVENT! Exclusive Deals, Unique Education, and of course the Parties! In addition to tasting incredible new releases from the finest producers and blenders in the world, IPCPR 2019 presents an all-new, mutli-dimensional event that will immerse you in interactive explorations of the latest retail business insights to help you grow your bottom line! Exciting new products and brands, exclusive releases, the best deals of the year while exploring fresh ideas and opportunities to help your store flourish. Cutting-edge education sessions that will elevate your business and help you capture more profit. Plus, new parties and excursions that will have you networking and connecting in new ways! Grow your business and be reinvigorated as you band together as an industry to fight burdensome taxes and legislation and glean new insights from the collective brain power of your retail counterparts and the biggest manufacturers in the world. As the head of communications for Harley Davidson, Ken Schmidt played a vital, integral role in one of the most celebrated turnarounds in corporate history. 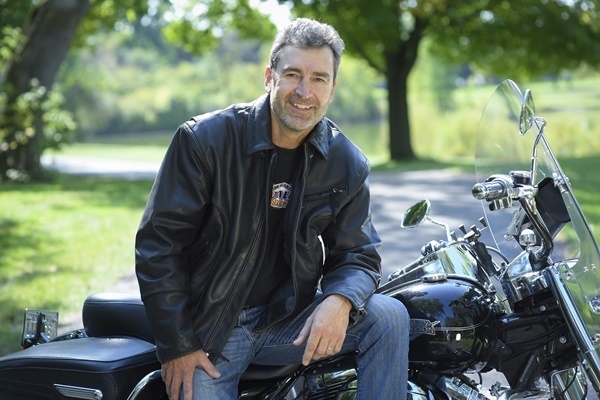 Hear how Ken worked to take a then-struggling Harley-Davidson and help restore the company’s image and create demand for its motorcycles. Within a few short years, as sales of its motorcycles rocketed upward, Harley-Davidson became one of the most respected, competitively dominant, profitable, and frequently reported-on companies in the world. In his address, Ken will share his insights on non-traditional communications, customer attraction and brand-building. All-new education sessions will offer cutting-edge presentations, the ability to learn from both experts and the collective shared experiences of your peers, and provide hands on interactivity to help ensure you implement the best practices as soon as you return to your stores! Each day on the show floor we will offer seminars that will keep you up to date on federal regulations and tax implications, retailer best practices on hosting successful events, and our always popular manufacturers panel where some of the biggest names in the business offer their insights on future trends, the state of the industry and where we can expect to go in the coming year. IPCPR is the biggest premium cigar and pipe tobacco event in the world! With thousands of retailers attending from across the US, this the your best, single opportunity to reach the biggest buyers in a one-stop selling shop to maximize your ROI for your premium products. Plus, there are many terrific sponsorship options available to give your brand and extra bright spotlight. Our annual event provides you with an array of opportunities to establish, build and enhance your relationships with your customers - from meeting new store owners on the floor, enjoying drinks or a great meal out with old friends, or celebrating all together as an industry, there is no shortage of opportunities to help ensure your customer relationships are stronger than ever! You’re here to sell - and IPCPR bring the most buyers of premium tobacco products right to you! IPCPR 2019 is excited to be returning to the state-of-the-art Sands Expo Center and the beautiful Venetian Resort. With over 30 on-site restaurants, numerous bars and seating areas, this property provides the ideal location for you to work hard and relax hard, too!